I once stood on the banks of the Jordan river where Jesus was said to have been baptized. Thousands of people stood in line as it was a celebration for the Orthodox church. As they milled about, I could tell many were there for a ceremony, but did not know Him. Recently, at church, a visiting missionary sang the song, “I Know Him.” I was well reminded of the moment by the Jordan river. Thousands knew about Him. Yet I know Him; and, best of all, He knows me. The words of the song have echoed in my heart this morning as its chorus ends with “...but best of all He knows me.” No matter how far away or near to home I am, the best thing is Jesus knows me. A hungry king, mindful priest, and a proud spy met in Nob. The meeting was not by chance; it was a meeting of divine appointment. The King’s name was David. 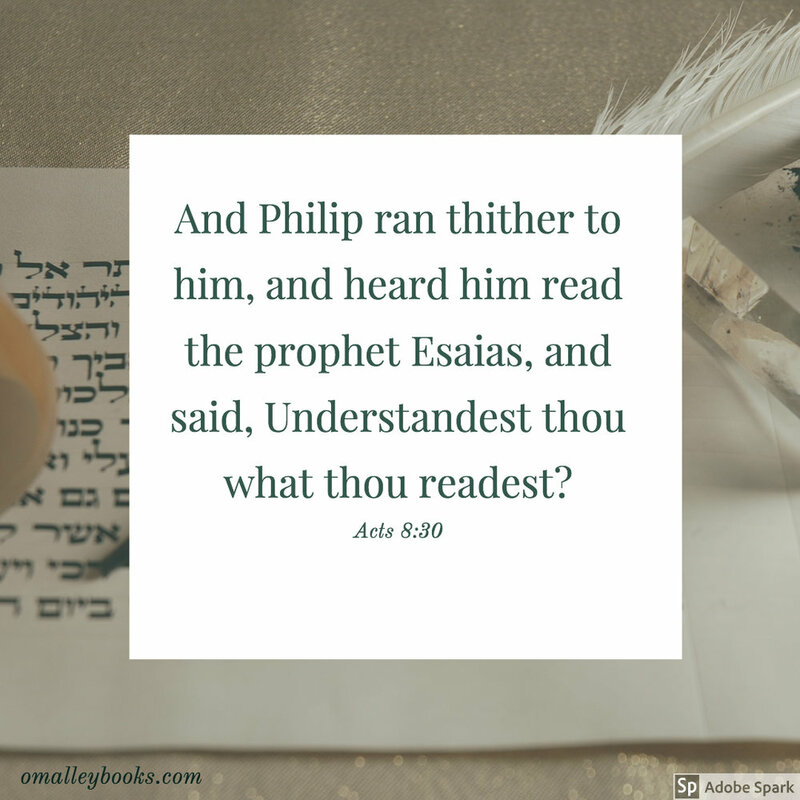 The priest’s name was Ahimelech. The spy’s name was Doeg. David arrived at Nob, while Ahimelech and Doeg were already there. Doeg was allied with David’s father in law, Saul. Saul wanted David dead. Saul lived without the touch of God on his life. David and Ahimelech were allied to God. Doeg, the spy, is watched as Ahimelech gave David bread and the sword of Goliath. Doeg will carry this report to Saul. Saul will Ahimelech. Saul will authorize the slaughter of Ahimelech and eighty-five priests by the hand of Doeg. David said Doeg chose to live in his strength, trust in his resources, and follow the ways of wickedness. What a condemnation! What a great failure! But, what about me? What about you? What about when we are in sync with the actions of Doeg while spiritually presenting ourselves as otherwise? God help me when I choose to live in my strength, trust in my resources, and follow the paths of the wicked. May your prayer be: God help me to make you my strength, trust in your resources, and follow the paths of righteousness. I took this picture through our dining room window. I know nothing about hummingbirds. So, when these tiny creatures hover, perch, and sip nectar it makes me smile. I smile because my mom put out a feeder to feed the hummingbirds. She fills their nectar jar. She watches for them to come. She reports about their activities to me when I come home. The birds do not see my Mom, they just know their needs will be met. What do hummingbirds know? They know they can count on my Mom making sure they have a place to perch, nectar to sip, and a safe place to hover. Do Hummingbirds worry? Their Creator knows them, cares for them, and provides for them, why would they fear? Hummingbirds do not have to worry about these matters. Their Heavenly Father Who watches for their cousins, the sparrows, watches over the hummingbirds too! What are you worried about? Your Heavenly Father can manage your life and His church. Your Heavenly Father Who deposes the wicked and heals the wounded will help you. Genesis 18:25 assures the reader, the Judge of the whole earth will do what is right. I asked above, "What do hummingbirds know?" Now I ask, what do you know? Do you know God loves you? Do you believe He provides for you? Do you see He provides your nectar? He gives you a place to rest. Your Heavenly Father has a plan which includes you. He knows where you are and what you need. The next time your world explodes around you and you begin to fear, remember your Heavenly Father made you so you can hover near his nectar, perch on Him, and trust His plan for your safety. I saw this truck puttering along on the Interstate. The truck’s character intrigued me. This model represents over 30 years of journeys. Thirty years of hauling, helping, and handling chores. Has the truck had just one owner? Is the owner frugal or just emotionally attached to the vehicle? Is the paint original paint? How many miles are on the truck? What of the contents in the bed of the truck? What does the inside of the cab look like? An exterior of anything can be deceiving to the casual observer. We are quick to make snap judgments. Remember in the selection of David, it was not his outward appearance God sought. Rather, it was his heart God saw first. The assessment of the outward circumstances and conditions do not always demonstrate the true picture with trucks or people. May our judgments be righteous. Acts 3:1-6 Now Peter and John went up together into the temple at the hour of prayer, being the ninth hour. Peter and John, two-thirds of the Lord’s inner circle, are prayer partners on this day in the third chapter of Acts. They were “together…at the hour of prayer” Prayer by yourself is mandatory for growth, but such sweet times come, when together as partners in prayer, we walk together into the throne room of grace to bow before a thrice-holy God to present praises, seek pardon, and submit our faith-filled petitions. However, in the hastening to be at the service (for it began at the ninth hour) they encountered a man who was used to asking petitions of men. However, this day he would see that sitting and petitioning men brings only silver and gold. In just a few minutes, he would see that he too would join the partners in prayer to walk with them into the throne room of God. 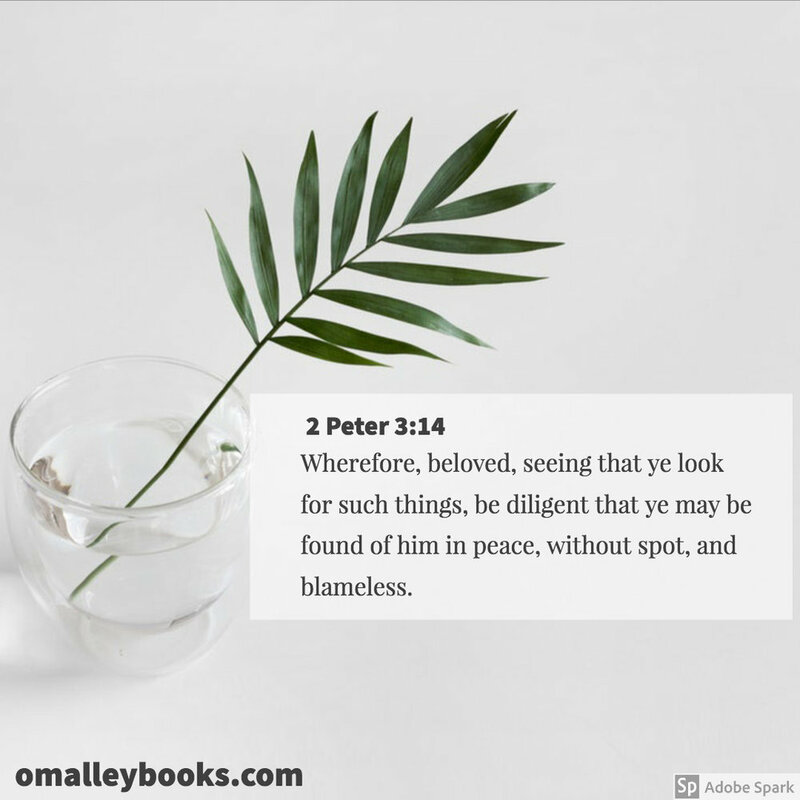 Peter and John saw the man not as a distraction on the way to prayer meeting, but rather as someone who needed to know the power of God in his life. They ministered to him and then brought him with them. The three were never the same again. On your next trip to the house of God maybe those distractions are opportunities for ministry to bring someone with you. Do Others Hear More of Me or the Master? Peter had just spent the night in prison. Yet a night in prison did not enrage him, as it would have before. All night in prison, my, how his thoughts could have rehearsed what he wanted to tell them. “Tear them up… Condemn them… Curse them…” No, this man had learned the lesson of all lessons in his renewed walk with the Lord. 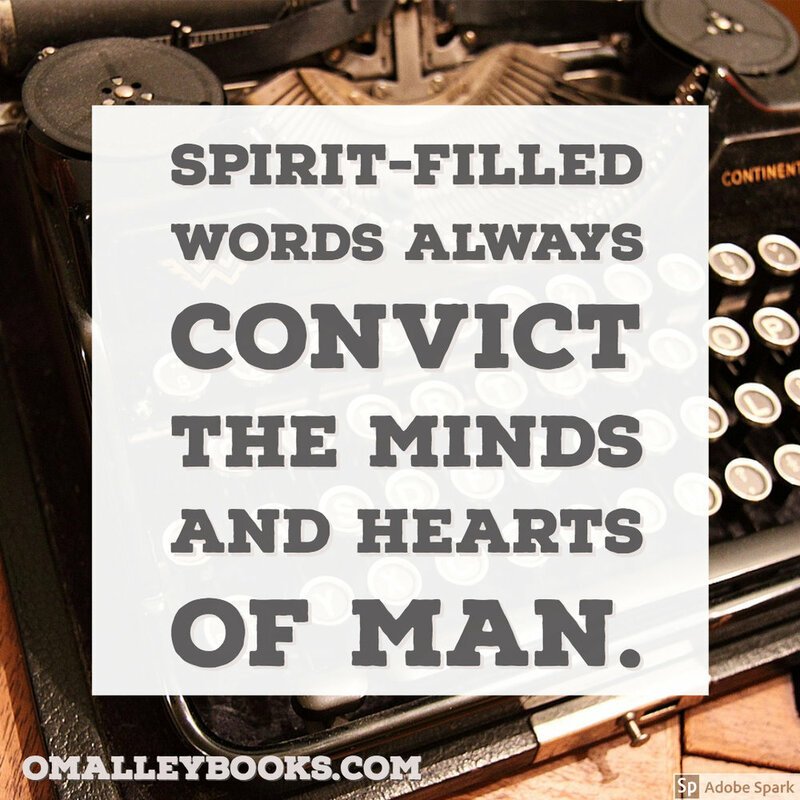 Namely, Spirit-filled words always convict the minds and hearts of man. Peter, once a mouthpiece of Self and Pride, now stands as a mouthpiece of the Master. Just weeks before this, he had said that he had nothing to do with Jesus. Now, having experienced a renewed relationship, he has an opportunity to stand before people and tell them of the One of Whom he preached and taught. He could tell them of Whose power it was that he healed the impotent man. He was a Spirit-filled mouthpiece. My concern after reading this verse is this: how often are my words after a trial filled with more of ME than the MASTER? What Are You Filling Your Jerusalem With? Peter and the other apostles had been commanded not to teach, preach, or do anything in the name of Jesus Christ. Yet their hearts were convinced that obedience to God overrode the will and wants of men. The closing verse in this chapter indicates that they ceased not preach and teach. However, let us focus on the phrase, “behold, ye have filled Jerusalem with your doctrine.” We too are commanded to reach our Jerusalem with news of His resurrection. Yet how many times have we filled the Jerusalem of our homes, work, and community with news of everything else but His resurrection? We are more apt to fill our Jerusalem with earthly delights instead of eternal doctrine. It seems we inform the Jerusalem of our homes, work, and community of the evening news with its hopelessness, rather than the hope of the resurrection. We have spoken more of the weather than His work. We have spoken more of sports than we have of His salvation. Hence, our Jerusalems are being filled with everything but doctrine. If the world assessed your life this day, would they say, “He is a regular kind of guy, religious but not too pushy?" Our goal is to fill our Jerusalems with doctrine not with delights. What did you fill the Jerusalem of your home, work, and community with in the last week, Eternal Doctrine or Earthly Delights? Acts 20:24 But none of these things move me. . . I might finish my course with joy. . .
Are you a better starter than finisher? Do you use life’s interruptions as an excuse for being a lousy finisher? What courses have you left unfinished? We start our exercise; we stop after a short period of time. We eat right; then we “cheat.” We start our devotions; then we stop. Paul spoke to friends and ministry colleagues. (Acts 20:24) His heart was set. He knew what had to be done. He had to finish his course. Nothing deterred him, not even the threat of the loss of life. Will your activities today help you finish the course God has set for you? Will life’s interruptions hinder you from His course? Have you ever been in a crowd of people and suffered with an agonizing loneliness? Your heart suffers incredibly with despair as the people you really long to be with are nowhere to be found. You are in a crowd but not a part of the crowd. Paul and Luke were in a ship with 276 men who were a combination of soldiers, prisoners, and travelers. They, the early messengers of the Gospel, were in need of refreshing. They had been through great hardships and trials. They were traveling to get to Rome. They were a great distance from the familiarity of friends and the warmth of Christian fellowship. They were in a crowd, but not really a part of the crowd. Their ship cannot provide them the one thing they need the most. Though previously denied this refreshing by their legal overseer, he now provides them an opportunity to receive refreshing and gives them leave from the ship. Can you imagine what preparations were being made on the other side? When it came to Paul, news traveled quickly. Perhaps they would have had word of the possibility of his coming. Nonetheless, Paul, Luke, and their overseer were confident that the refreshing would be available from their friends. How did the overseer come to such confidence? Certainly, the confidence of the missionaries became his as they spoke of their friends who would be able to provide them refreshing. Have you a friend who can resort to you for refreshing from his tumultuous journey through life? Can you carry the burdens of his life for just a few moments as to give him the relief and refreshing he needs most? 1 Corinthians 16:18 For they have refreshed my spirit and yours: therefore, acknowledge ye them that are such. Have you ever had a week where it seemed there was no time to stop and put your feet up to rest and recover? You know that feeling, don't you? The aching feet, the sore back, and the legs that just don't want to go on any more. These are all the signs we have felt as we have walked along life's path. Your body, mind, and spirit get to the place where they need refreshing. This is what Paul was writing about to the Corinthians. He was that weary laborer needing some refreshing. The Corinthians had failed in refreshing him. He wrote about three men that were able to refresh his spirit and not just his, but theirs too. He said these men were able to come along and cause him to cease from movement or labors so he could recover. What is interesting to me in this verse is not the correction to the Corinthians (v17), nor the commendation to the comforters (18a), but rather the coaching he gave to the church (18b). His coaching was this "acknowledge them". He wanted the Corinthians to become thoroughly acquainted with the refreshers. He wanted them recognized in the Corinthian church as the trio of refreshers. Look around you; God has placed people who are refreshers in your life. These are men or women God has placed in your life to be refreshers. When was the last time you acknowledged the refreshers in your life? Why don't you do it today before the sun sets? The day began as any school day. But something fell apart in school that day. I am not sure if it was me or the other fellow. I was in trouble. I got into a scuffle with someone. I really don’t remember the conditions that led to the struggle. I just remember learning a life lesson that day from my father. When I arrived home, Dad took me in his room (which usually was a sign of imminent contact with the rod of correction). I sat down on the bed. He discussed the events of the day. I could sense that this was not going to go well. (He was the pastor of the church’s school I attended.) My frustration was simple: I knew I wasn’t to hit someone, yet I was attacked and needed to defend myself. After the discussion, Dad then surprised me. He took his Bible and opened to the verse above. Stronger to me that day than the sting of his rod of correction, was the salve of the Word of God. I learned that my feelings of pride and its byproducts, indignation, and injustice, found a self-made route of escape. How could I choose my own way of escape? God had a route out of situation for me, yet I chose my own route. Do you do the same? Do you choose your own escape when facing conflicts? Occasionally, and shamefully, I still make the wrong choice. It is best when we choose His way. His way is always the Greater Route of Escape. Similarly, this world is calling out for answers. The focus verse states the believer is required to study the Word of God. We study it to be workers who need not to be ashamed. How many times have those around us sought answers for life’s difficulties and we have no answer to give. We call a friend, family member, or pastor who we know will have the answer. The Bible is our sole source of answers in a world full of questions. Are you ready to answer? Choose a doctrine and study it. Find a topical Bible and search for answers. Your daily connection to the Word of God means you will have the answer when the questions arise. 2 Timothy 4:7 I have fought the good fight. The boxer left the ring that evening for the last time. The crowds were gone. The cheers were silent as he had just vanquished his last opponent just a few hours earlier. Now, alone with his thoughts, he walked toward the exit of that arena. At the last row before the exit, he sat down in a moment of reflection. Paul, the great man of God, could easily be the boxer in this illustration as he wrote in this last epistle. “I fought a good fight.” It wasn’t the wins and losses that mattered to Paul. It was, did if he had fought well. The reader of the New Testament knows Paul did fight well. There are many who weary with the fight. Others will quit because of a few bruises. Yet there will be some who fight for only the applause of men and stop when the crowds are silent. What kind of fighter are you? What about you? This spiritual fight we are in today, are you fighting well? Have you become more about the win than fighting well? Will you end this fight with integrity? James 1:5 If any man lack wisdom let him ask of God that giveth to all men liberally. . . Occasionally, life’s puzzle is missing a few pieces. We can’t quite see the picture without those missing pieces. Those missing pieces generally involve a desperate search and undue stress. We need these pieces to make life’s current puzzle and picture complete. We can sit and stare at life’s puzzle and try to figure out the picture. Or we can seek God’s wisdom! He will give wisdom to find the missing piece. The search for wisdom from God will give certain peace and bring the puzzle’s picture into clear view. We can be Wisdom-Seekers or we can be puzzled. We can seek peace or piece. What is your choice? It is interesting to note that we deceive ourselves by hearing and not doing. Deceiving ourselves does not mean we are deceiving God. 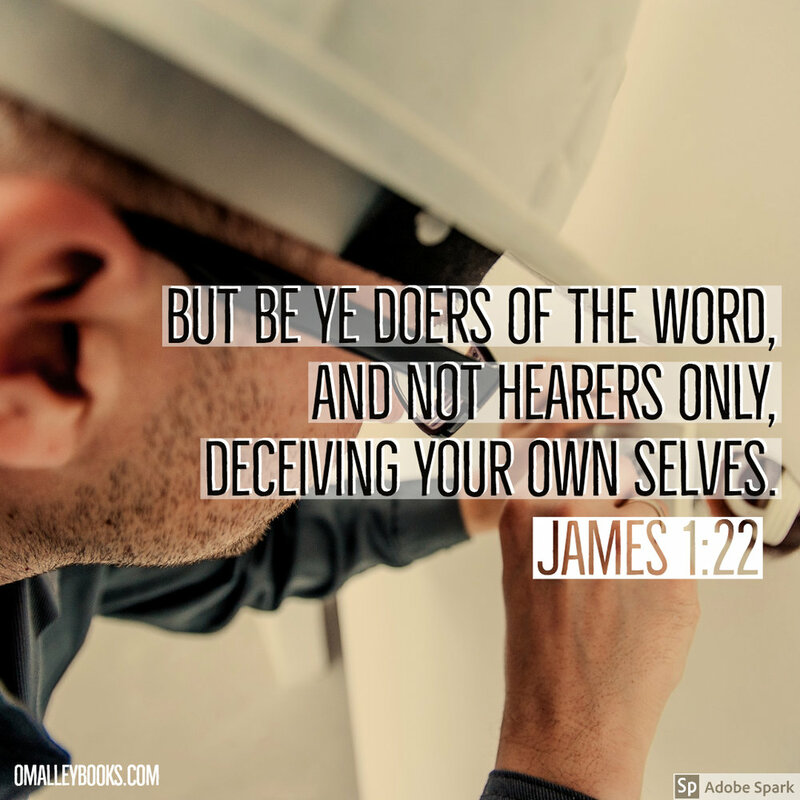 Are you a hearer AND a doer? Psalm 47:7 For God is the King of all the earth: sing ye praises with understanding. Can you remember some of your childhood games? In my family, I had five brothers and sisters and we ALL wanted to be king of something. We would toss out phrases. “King of Hill.” “King of the Block.” “King of the fourth graders.” We invoked the phrase “King of” to let everyone know we were the ultimate authority in the domain we claimed. Did you notice how the Psalmist led by the Holy Spirit wrote these words: “For God is the King of all the earth.” Oh, how difficult it is as men fight wars and battles with each other for a heritage. Do they not realize that God is King of all the earth? He is not King over some area with boundaries. He is King of all the earth. Does this truth influence your life? How should this truth influence our lives? The Psalmist reveals the clue. The one who knows that God is King of ALL the earth will sing praises with understanding. Praises with understanding, what a thought! Our hymnbook time is not just time filler in a service. It is a time when the subjects in the kingdom of God utter praises to the King of all the earth. Have you a song in your heart today? Then with the understanding that God is the King of all the earth and He dwells in us, just SING! Sing with Victory for the earth is His domain! Sing with Vitality for the earth is His domain! Sing with Vision for the earth is His domain!